Netflix Which VPNs Still Work With Netflix? Which VPNs Still Work With Netflix? 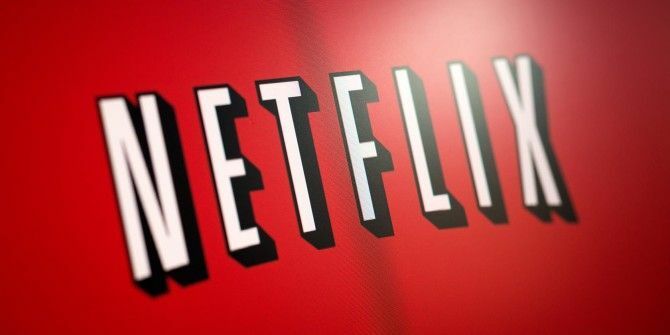 Netflix is cracking down on VPNs, but there are a few that still work. Here are the best VPNs to use with Netflix. Read More accounts for a large amount of the bandwidth used. In fact, a study by Sandvine said that Netflix accounts for 36.5% of all download traffic How Much of the Internet's Bandwidth Does Netflix Use? How Much of the Internet's Bandwidth Does Netflix Use? Have you ever wondered how much of the Internet's total traffic is used to stream Netflix? Read More in the United States during peak hours. When you think about the number of things that are available online 10 Niche Streaming Services for Those Who Hate Netflix 10 Niche Streaming Services for Those Who Hate Netflix Mainstream streaming services carry mainstream content. What can you do if you want to watch something a little less conventional? You're better off checking out these alternative streaming services packed full of niche content. Read More , one service using that much of the bandwidth just seems insane! As we move further into the world of high definition video 7 Home Entertainment Trends to Watch Out for in 2016 7 Home Entertainment Trends to Watch Out for in 2016 There are some key trends happening in the world of home entertainment in 2016. From 4K televisions to virtual reality headsets. And we have the details on them all. Read More , the speed required to watch Netflix (and services like it), become greater. That’s why Netflix has launched its own incredibly simple Internet speed test service with the easy to remember name Fast.com (that must have been an extremely expensive domain name How Much Is Google.com Worth? 3 Weird Domain Name Facts How Much Is Google.com Worth? 3 Weird Domain Name Facts The Internet wouldn't be what it is today if it weren't for domain names. Here are three peculiar facts about domain names that you might find interesting. Read More ). If you point your browser to the site, it’ll start a speed test immediately. There’s no picking servers or checking ping. It just loads for a second, and then shows your down speed. There’s no ads or anything stuff cluttering up the page, so it truly is a… fast… experience. Next time you want a quick way to find out if your Internet is up to snuff, Fast.com might be a good option, as long as you don’t mind a minimalist approach. What’s your down speed? Let’s see who’s fastest in the comments below (mine is in the screenshot). Explore more about: Internet, Media Streaming, Netflix, Online Video. 9.0 for me and I love watching movies here. 3.6mbps....not 36 or 260 but a miserable 3.6mbps. I live in the middle of nowhere. If I look over my fence all I can see is the country of Wales.... and rain. I normal don't have any issues watching Netflix, although some days I have to cope with that little red streaming circle and blocky picture.... but that probably only once of twice a month. Our Queen has said we will soon have the "legal right" to demand at least 10mbps which should make life a bit easier, but I'm not holding my breath.